Dr. McCartney’s research interests center on primary scientific literature and how it can be used as a teaching and learning tool. This research stems from her main project, “Science in the Classroom,” as a Senior Project Director in the Education and Human Resources (EHR) Directorate at the American Association for the Advancement of Science (AAAS). 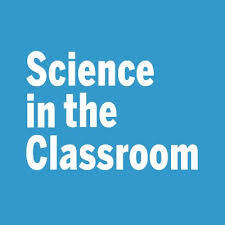 “Science in the Classroom,” is a resource that aims to make scientific research articles more accessible to students and the public. Previously, Dr. McCartney spent five years at Science editing education and neuroscience manuscripts and was a Mirzayan Science and Technology Policy Fellow at the National Academies where she worked with the Committee on Women in Science, Engineering, and Medicine. Dr. McCartney completed a Postdoctoral Fellowship at The Children’s Hospital of Philadelphia, completed a PhD in Neuroscience from The George Washington University, and has a BS in Biochemistry from Binghamton University (SUNY). Kyriaki received her Doctoral degree in Food Science-Microbiology, followed by a Master’s degree in Curriculum and Instruction, in 2014 and 2017 at UW-Madison. During her studies, Kyriaki completed her DELTA certificate in Research, Teaching, and Learning (CIRTL), as a fellow of the UW-DELTA program on scientific teaching. Kyriaki has assisted in designing and teaching various college-level courses, for a period of 5 years and in Spring 2018, she was affiliated with MATC (Madison Area Technical College), as a teaching faculty. Kyriaki is currently investigating ways to improve the scientific skills of undergraduate STEM students. Dr. Kararo has a BS in Biological Sciences from Northern Illinois University, and a M.S. and Ph.D. in Youth Development and Agricultural Education from Purdue University. His research interests include motivation and learning, policy and educational resource access, and program evaluation. He is currently working on the implementation and evaluation of annotated primary scientific literature as a pedagogical tool. MJ is a 3rd year Biology Education major at FIU. MJ is part of the FIU Teach program and will graduate with a teaching certification in biology. MJ is involved with developing professional development opportunities for teachers who want to teach the nature of science using annotated primary literature. Chaz is a Biomedical Engineering senior at FIU. Chaz is investigating how students learn science communication skills through annotating scientific literature and is measuring the readability levels of completed annotations. Chelsey is a Biological Sciences senior at FIU. Chelsey is currently researching how worksheets can help aide students’ understanding of annotated scientific literature. She is also concurrently working on her teaching certifications and will apply this research to her own future classrooms when creating resources for lessons. Kiana is a junior at FIU and is double majoring in Biology and Interdisciplinary Studies. Kiana is involved with a project that includes investigating if the annotations are beneficial to non-science majors and she is specifically researching if students require any additional information from the authors in order to better understand the research papers. Amy has an AA in Biology from Miami- Dade College. She is a Biology senior with a Pre-Veterinary track at FIU. Amy is currently researching if science and non-science major students approach reading annotated primary literature differently. She is looking forward to making annotated primary literature accessible to the entire public and for future classrooms to have a better understanding of research papers, regardless of which major chosen. Dr. Knekta has a BS in Biology, a Masters in Education, and a Ph.D. in Educational Measurements. Her research interest centers on motivational aspects within education. Dr. Knekta’s Ph.D. studies focused on how to conceptualize and measure test-taking motivation and how test-taking motivation might affect the validity of the interpretations made from achievement tests. Currently, she is in investigating how primary literature can be used to increase student engagement in a department and the role of interest and career goals on students’ persistence in STEM. Andres has a BS in Biological Sciences from FIU Honors College. Andres helped to implement structural coding to streamline data to assess how to best use the collected data and assist in creating a codebook for future research projects in the lab. Beth Ruedi joins AAAS as Project Director of SitC. She received her Ph.D. from University of Illinois at Urbana-Champaign and held dual positions as postdoc and faculty lecturer at North Carolina State University. She served as the Director of Education and Professional Development at the Genetics Society of America (GSA), providing strategic leadership for GSA’s growing portfolio in education and training. Beth helped cultivate an educational mission for GSA, resulting in a complex portfolio of over 20 activities, initiatives, partnerships, and awards. Shelby Lake is a Program Associate in Education and Human Resources Programs at AAAS. He works to develop and expand SitC resources, perform outreach for the project, maintains the SitC website and social media accounts, and coordinates collaborations with other institutions. He studied biology and English literature at the University of North Carolina at Chapel Hill. Shelby began working in education at the Duke University Center for Science Education, and continued this interest abroad in Japan as a member of the Saga Prefecture Board of Education. He is interested in improving public attitudes toward science through improved science communication and education.